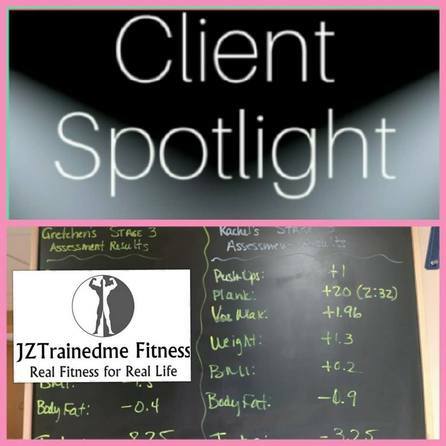 She did 16 more push-ups, held her plank for an additional 15 seconds (for a total of 4 minutes), her VO2 max rating increased by 73.8, she LOST 3.8lbs and 3.4 inches and both her BMI and Body Fat DECREASED by 0.8% and 2.1%! 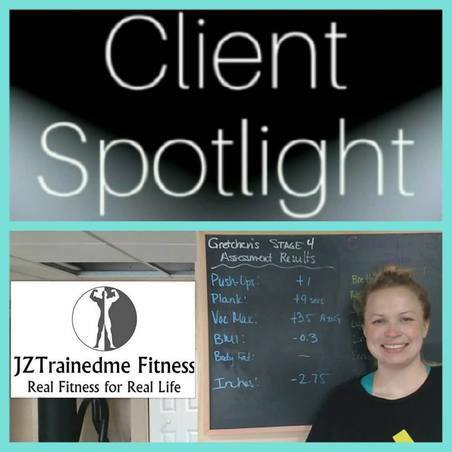 She did 22 more push-ups, held her plank for an additional minutes (for a total of 8 minutes and 21 seconds), her VO2 max rating increased by 7.7, she LOST 2.0lbs and 1.25 inches and both her BMI and Body Fat DECREASED by 0.6% and 0.8%! 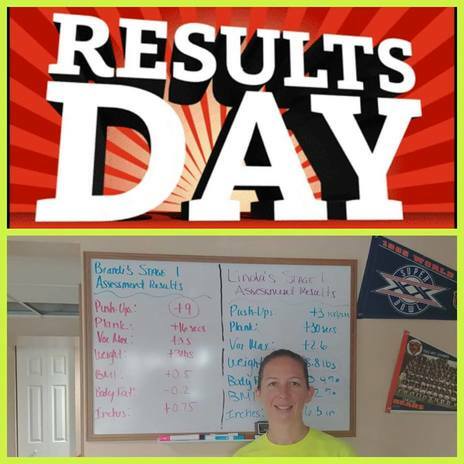 Sara had FANTASTIC results from her Stage 1 assessment today! 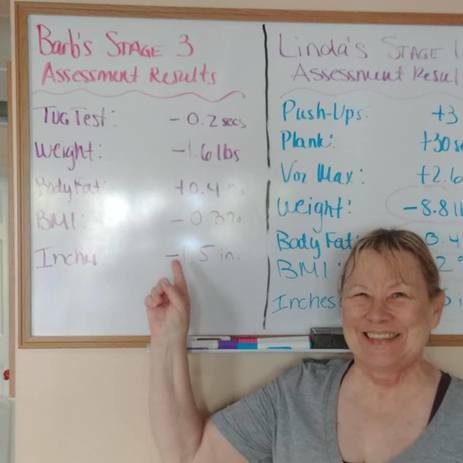 She did 11 MORE push-ups, she added 10 MORE seconds to her plank time, her VO2 Max rating increased by 3.5, she LOST 1.2lbs, her BMI went DOWN by 1.0%, her body fat went DOWN by 0.2% and she lost 3 inches overall! WOW!!! Congratulations Amy! She had GREAT results! Congratulations Colleen! She had FANTASTIC results! Congratulations Eileen! She had GREAT results! Congratulations BRETT AND LAURA! They had UNBELIEVABLE results! Congratulations Bruce! He had FANTASTIC results! Congratulations Kasia! She had AWESOME results!